A technology is developed that uses two multiscale structures on a single crystal piezoelectric substrate of lithium niobate. A system of counter-pin electrodes for an acoustic delay line operating in the 2–3 MHz range is formed via photolithography. The system is combined with nanotransducers 60–80 nm in size, produced by means of negative electron-beam nanolithography. 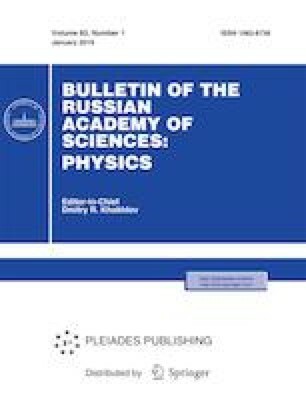 The development and production of the topology of the planar electrode structure for our hybrid acousto-electric nanosensor was supported by the Russian Science Foundation, project no. 18-49-08005. The development and production of our tunnel nanostructures was supported by the Russian Foundation for Basic Research, project no. 16-07-00933.